Modern sport and recreational aircraft have enjoyed a remarkably good safety record. Likewise, the pilots flying those aircraft have also done a good job of following the rules of aviation. 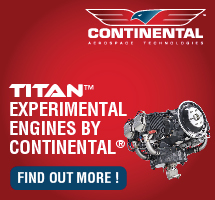 However, once in a while, a problem arises that is simply beyond the pilot's abilities or the airplane's limits. If you planned ahead and equipped your aircraft, you might wish to deploy a ballistic parachute system. These devices have saved literally hundreds of lives. Sometimes those lives spared were more than the pilot. In a two or more seat aircraft, you might have someone else along for the flight, therefore, more than one life could be saved by a rocket-propelled whole-airframe parachute system. Devices like those supplied by Magnum Ballistic Parachutes are attached to the airframe in a particular way such that they cause an airplane to descend vertically very much like the way the airplane sits on the ground. No one has to exit the airplane. Even if you never actually deploy your parachute, you use it every time you fly. It provides a remarkable peace of mind, knowing you have one more option if things go badly and you've used up all your piloting expertise. Because you are aware you have another option, you are more likely to remain calm and fly the aircraft to an emergency landing. Magnum Ballistic Parachutes are manufactured by Stratos 07 in Europe. 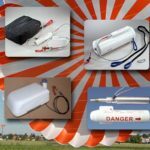 The company has been in business for over 26 years, providing and refining ballistic parachute systems for light aircraft, as well as manufacturing other high-tech products for military and law enforcement. The North American Importer for Stratos 07 is Magnum Parachutes, LLC, located in Florida. 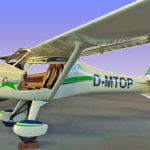 They have models available for a wide range of aircraft, including Light-Sport Aircraft, Experimentals, and Ultralights… and even larger airplanes. 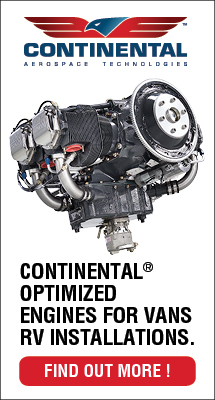 Systems are available for aircraft up to 3,960 pounds gross weight, and for deployment at speeds up to 199 miles an hour. If you purchase a system from Magnum Parachutes LLC, the company has a very special offer. Like all equipment, parachutes need period inspection and maintenance. When that happens after you've become accustomed to having a parachute on board, are you grounded until it returns from service? No, because Magnum Parachutes will offer you "a loaner canopy, of the same size and style as the one you purchase from us." Click the graphic above or the link below to go to their website to see all Magnum Parachutes has to offer. When I first saw this news story I thought it was one we reported earlier involving a similar aircraft and parachute. 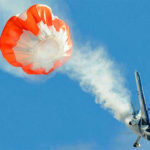 Splog: Magnum Whole-Airplane Parachutes to the Rescue …Literally! Let’s say you are flying on a wonderful cross country trip.